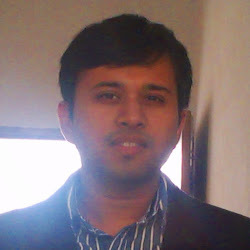 This is a guest blog by Amit Gupta, following a discussion on a Neo4j discussion forum. There was this interesting problem that I had encountered, where I had to find (in a facebook like graph network) a list of all my first degree friends (friends) who could introduce to me to my second degree friends (friends of friends). For example, let’s say I have friends named ‘X’ and ‘Y’ and ‘Z’ is their common friend. I’d like to query all my second degree friends (like Z) and have a list of all my first degree friends returned. In this case the output should be [“X”, “Y”]. This list is the people who can introduce me to my friends of friends. To demonstrate the Cypher query which does this, create the example graph setup that you can see embedded in the Neo4j Demo console below. We know that if auto indexing is enabled in neo4j.properties, each node that is created will be added to an index named node_auto_index. Now, here’s the cool bit. If we add the original manual index (at the time of batch import) and name it as node_auto_index and enable auto indexing in neo4j, then the batch-inserted nodes will appear as if auto-indexed. And from there on each time you create a node, the node will get indexed as well. My problem was simple. I had batch imported Nodes to my graph db and created an index, and now for the nodes that were newly added to the graph, I wanted them to be added to the index. All this had to accomplished through cypher. Unfortunately, this is currently not supported through cypher. I thought of workaround and I will describe it below. Viola, you will find that the node that you just created has also been indexed automatically!